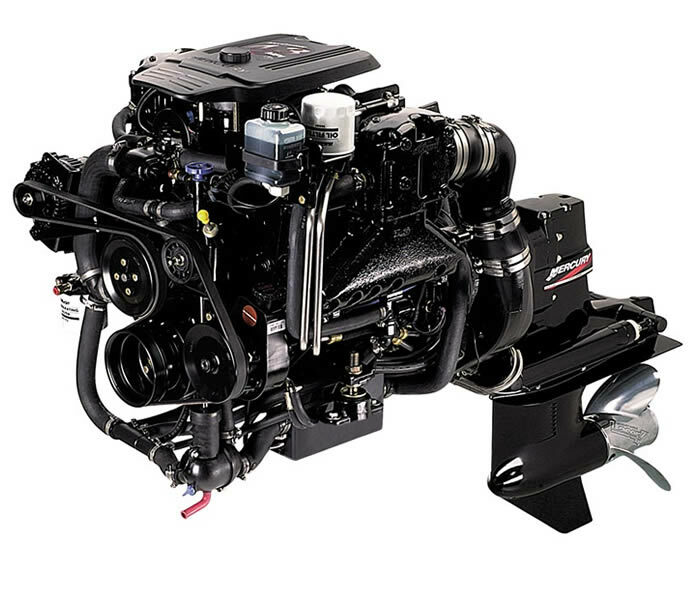 2011 Evinrude E-Tec gearcase lubricant servicing, also referred to as replacing lower unit gear-case oil, is a very important maintenance chore. Gearcase lubricant should be replaced with HPF PRO Gearcase Lubricant every 300 hours or every three years, whichever comes first. 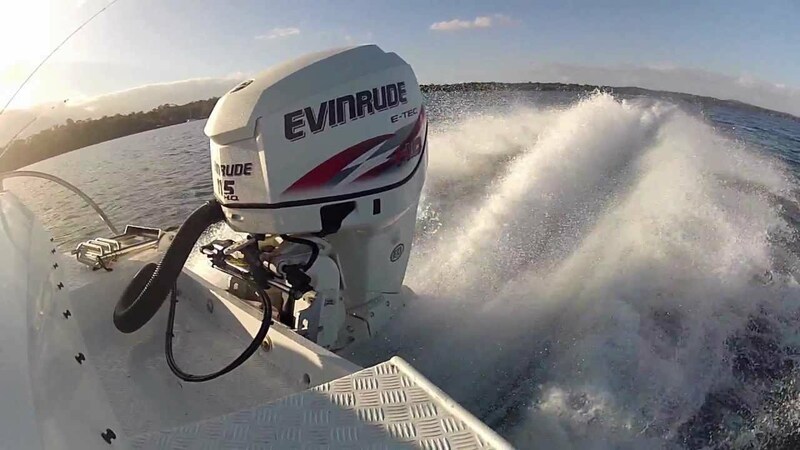 The following information describes gearcase draining, inspection and filling procedures for the 2011 Evinrude E-Tec 15, 25 and 30 horsepower engines. 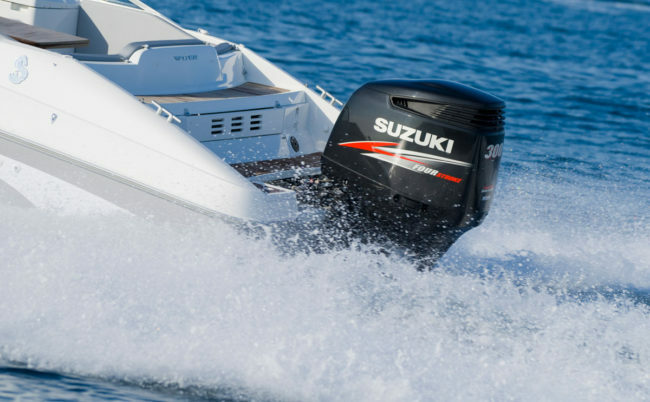 It’s important to note that gear case lubricant may be under pressure and hot if you have been recently operating the outboard. 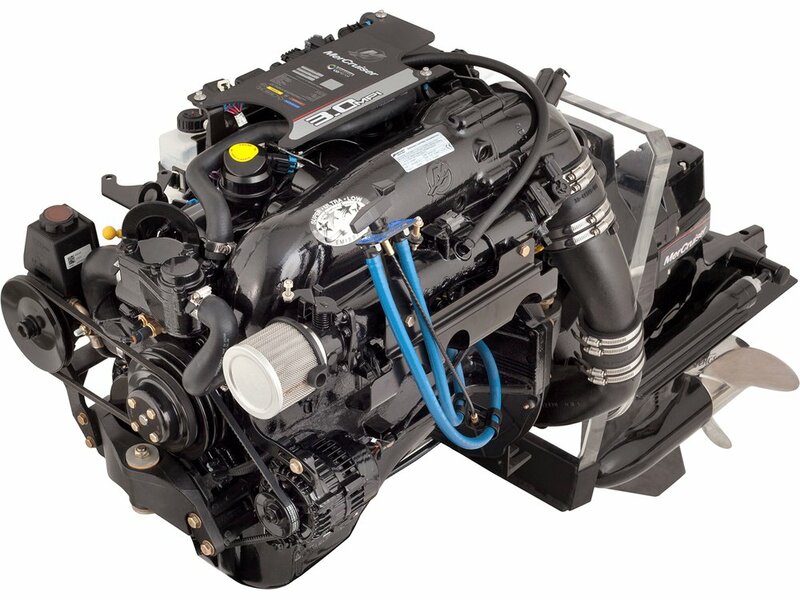 Allow sufficient time for the motor to cool down before draining gear case lubricant. Moreover, always check the gearcase lubricant fill level at the upper plug before talking off the lower drain/fill plug. You can use something simple like a tie strap to check the lubricant level. 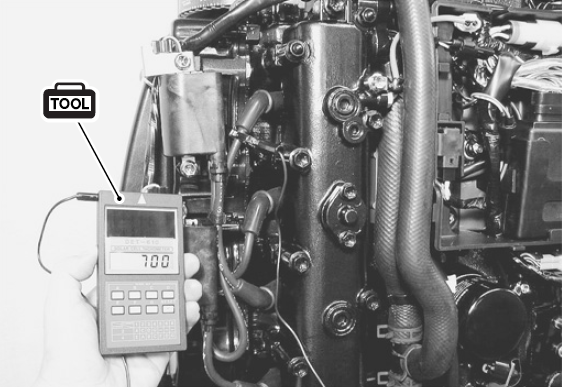 If the gearcase lubricant level is low you should perform a gearcase leak test to pinpoint possible leakage. Remove the lubricant level plug (top plug) and then remove the lubricant drain/fill plug (lower plug). Allow the gearcase lubricant to drain into a suitable container. Inspect the metal magnets on both plugs for metal or metallic debris. A presence of metal fuzz indicates normal wear of the shaft, bearings and gears, but metal chips can signify serious internal damage. Inspect the gearcase lubricant for the presence of water. Water mixed in the lubricant will give it a milky appearance. With that said, normal aeration can also give it that same appearance. A good way to check for water in the lubricant is to put the lubricant into a clear glass container and allow the oil to settle for a minimum of 60 minutes. Water separation will help you determine if there is an excessive amount of water in the oil. 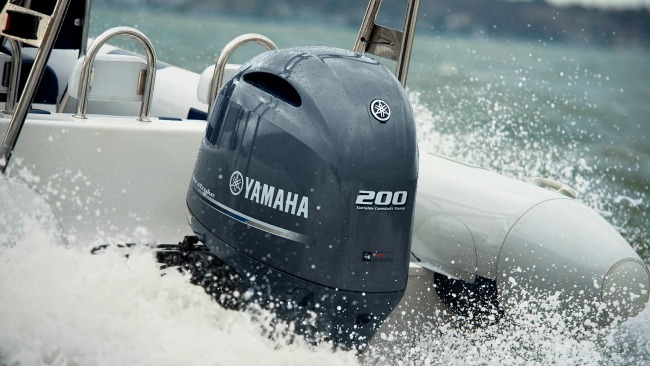 If an abnormal amount of water is present, perform a gearcase leak test. 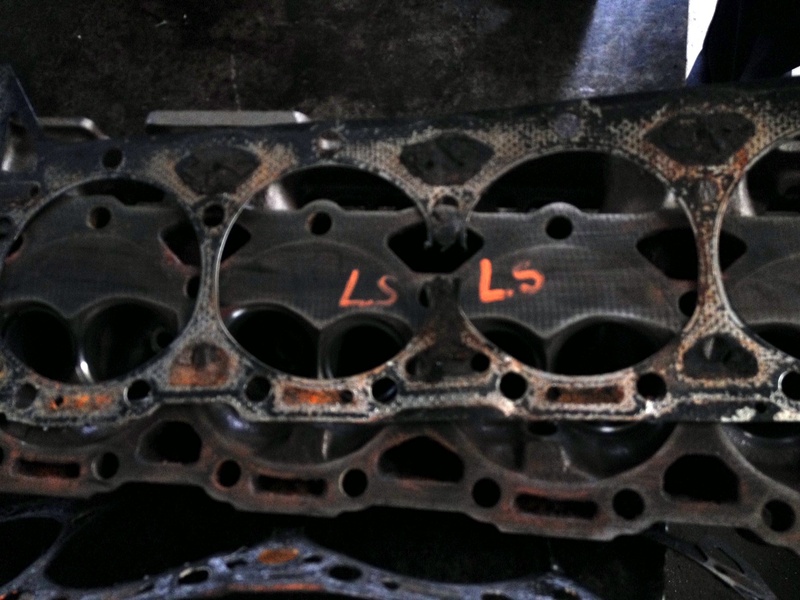 If the gearcase lubricant has overheated, it will appear blackish and it will have a burned odor. 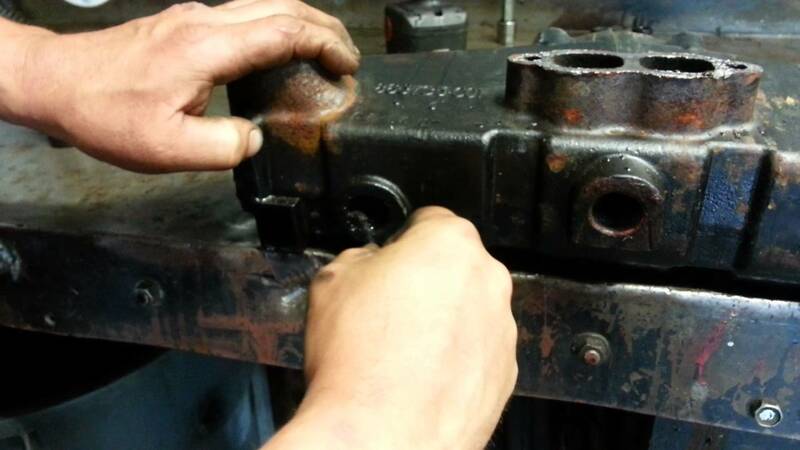 You should perform a thorough gearcase inspection when the gearcase lubricant appears burned, water contaminated or when there is a presence of large metal flakes. 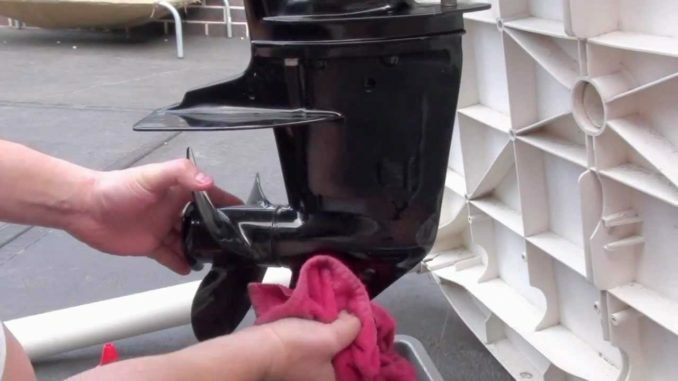 Position the outboard engine or gearcase in a vertical position and remove both the lubricant level plug and the lubricant drain/fill plug. Then use a gearcase filler to slowly fill the gearcase through the drain/fill hole (bottom plug). Stop filling it will lubricant when it appears at the oil level hole. Be sure not to fill it too quickly as this can air pockets to develop. Next clean the plug seal area and reinstall the lubricant level plug (top plug) and a new seal. Then install the lubricant drain/fill plug (lower plug) and a new seal. Torque both plugs 60 to 84 in. lbs. (7 to 9.5 N·m). 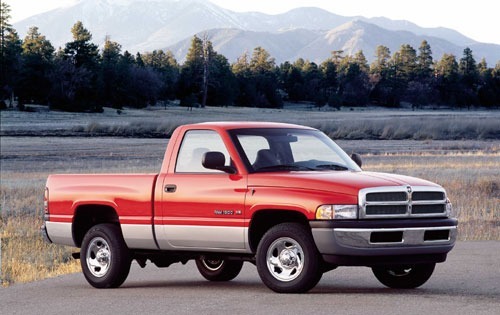 Never use automotive gear lubricants or engine oils. 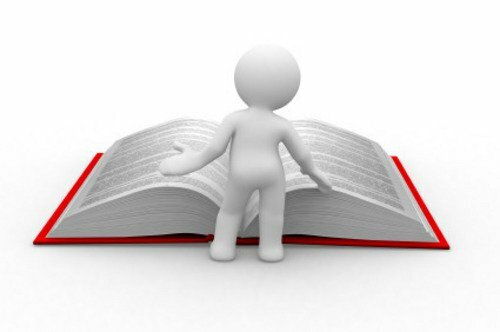 It’s highly recommended you refer to the download factory repair manual when draining, inspecting or filling the gearcase lubricant. 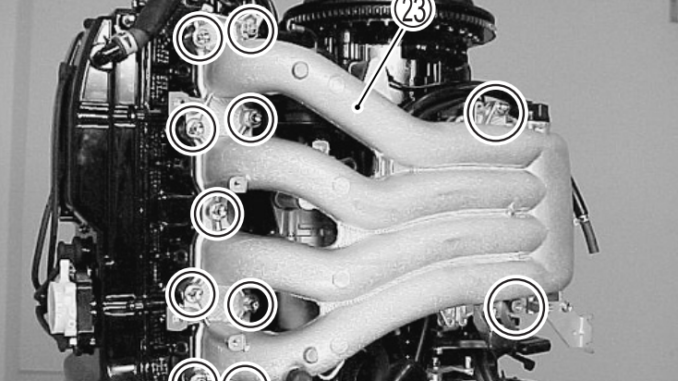 Additional servicing information, as well as specifications, are typically present. 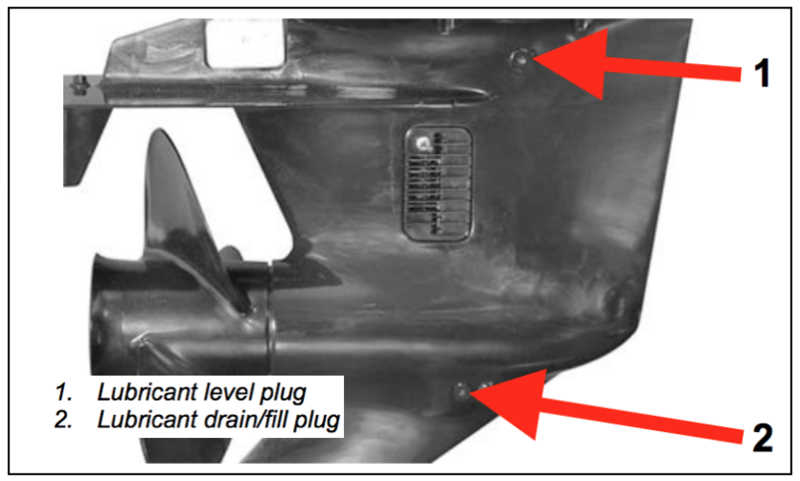 I need lower unit removal instructions for a 1976 Evinrude 35hp. 1991 Johnson 50 hp lower unit oil amount, how much is it? 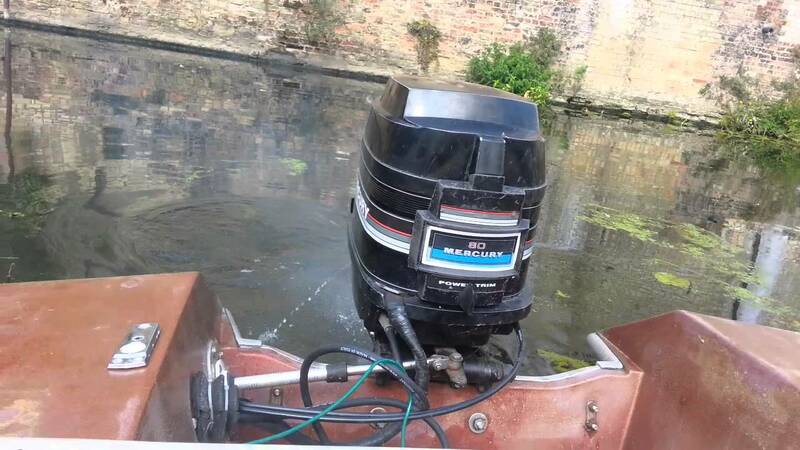 I think I have fuel leaking from lower unit and 1990 johnson 60 horsepower outboard. 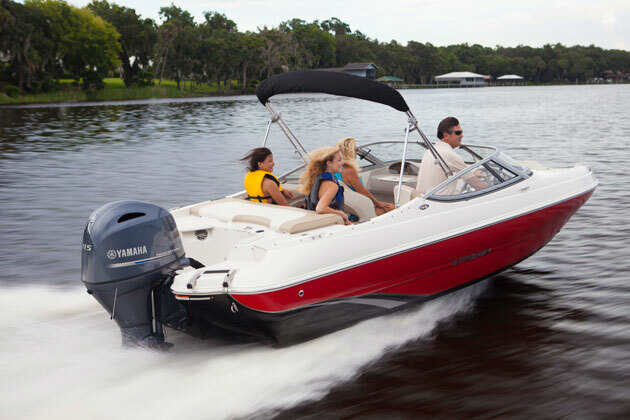 How to dissassemble lower unit on 2013 johnson boat motor?